Growing Conditions: Full sun. Lean dry well-drained soil. Clump-forming; will not run. An excellent aster for rock gardens. 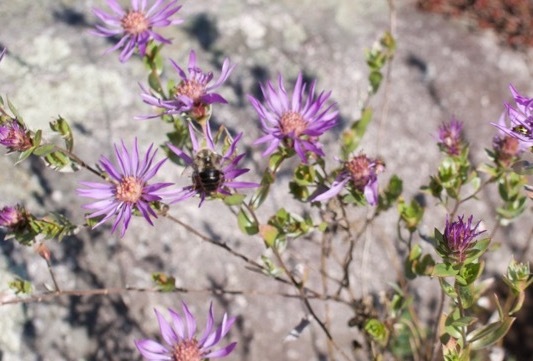 Wildlife benefits: All of the late-flowering Asters are excellent plants for pollinators. From Ottawa Valley or eastern Ontario sources: No. Native to Ontario but not common. Remarks: Silvery leaves are attractive even when plant is not in bloom.